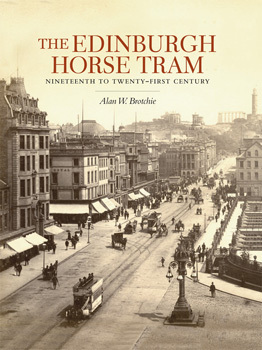 The horse tram evolved from the horse buses of the 1830s and the later steam buses, commencing operation in November 1871. Many books get dubbed in their blurbs as being definitive but in this case attempts to gainsay this would be reckless as no cobble has been left unturned in research or in the hunt for scarce contemporary images. The book divides into three parts with part one being a detailed chronology fully evidenced and referenced, part two being devoted to rolling stock climaxing with a fully detailed fleet list. Part three by contrast deals with the story of the restoration of horse car 23 discovered in 2005 in a forlorn state having been converted to a garden shed.